Thank you for your interest in our Food Photography & Styling Workshop! We are opening up official registration today, as of now. Non-student rate: $1650 US (includes accommodation, same meals and drinks only as those offered in the workshop). There are limited spots. 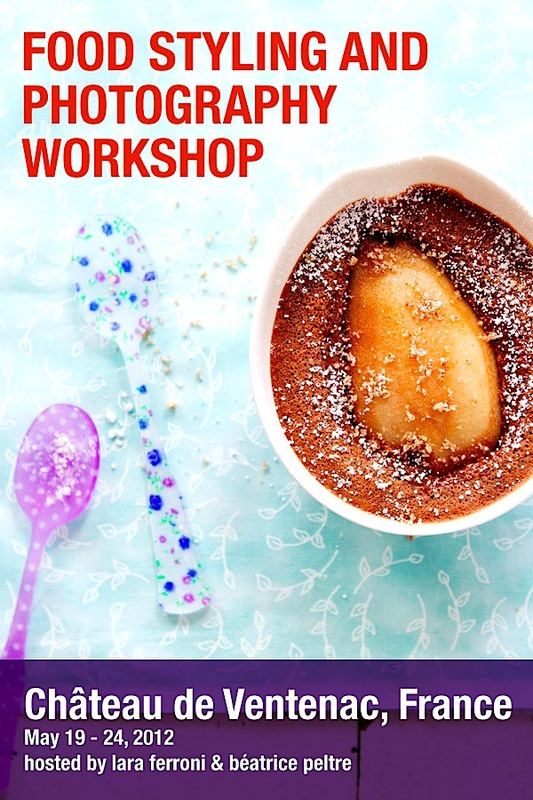 We strongly recommend that students who want to attend the workshop own an SLR camera, if their main interest for attending the workshop is food photography. Update: The workshop is now full, but we are taking names for the wait list if you are still interested. Registrants will then receive an email (and contract to be signed and returned), and details on how to submit a $300 non-refundable deposit to confirm their registration. In case the list is filled, they will be placed on a waiting list. Confirmed attendees will then receive a detailed (but tentative) itinerary, and more details about how to complete the full registration. We hope to see you there! We are excited to make this happen with you all. This entry was posted in Annoucements, Conferences, Workshops and Classes, Still Life With. Bookmark the permalink. Maybe it’s just me, but why would you have a non-student rate cheaper than a student? I understand the workshop filled up very quickly. I am still very interested in attending your workshop in May . Please advise how I can put my name on the waiting list. Many thanks in advance. I have just sent an e-mail asking for being added to wait list. I am also your student at PPSOP course – and I find it so interesting and motivating! The study materials are very clear and very helpful! Great job! I’ve sent an e-mail yesterday but I am leaving a comment as well. Please put me on the waiting list, Lara. I’m sorry it’s sold out but if a spot opens up I would LOVE to go to this! !